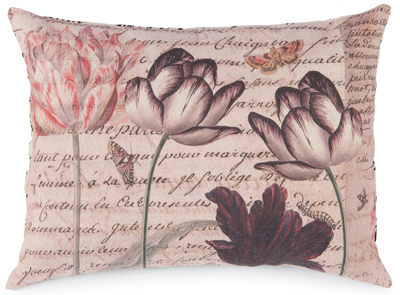 This week, our must-have home accents feature a flower with a tumultuous history. Regarded as a luxury item in Europe, the tulip was highly coveted, and was even used as currency in places like the Netherlands. Now, these beautiful flowers add sophistication and beauty to our gardens and homes, as well as to pillows and other decor. 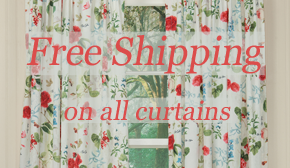 The following items from our catalog are decorated with Dutch tulips, or parrot tulips, which have a whimsical shape and charming coloration, and, they are all made in the USA. 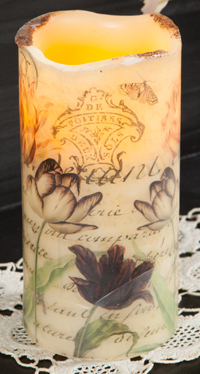 Vintage reproductions can add a serene, traditional look to any decor, as exemplified in these flameless candles. 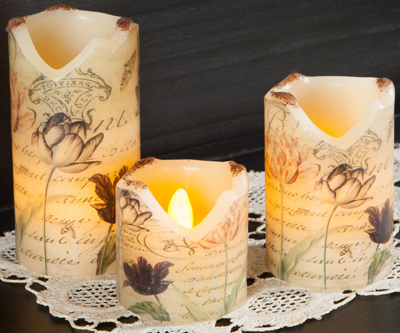 Made in the USA with waxy exteriors, the warm glow from the Pillar or Set of Three will illuminate a centerpiece, mantel or other space while adding a spring-like look to your home all year. Using similar color tones with the same vintage reproduction quality, these textiles are as decorative as they are functional. 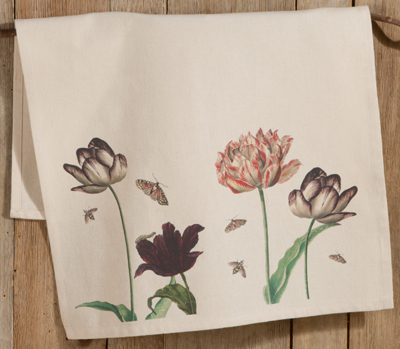 The Tulip Dish Towel will hang beautifully in a kitchen for added style, but can also clean up small messes and crumbs throughout the kitchen or dining nook. The Mini Pillow has a buckwheat fill, which means this home accent can be warmed up for use as a heating pad. A decorative heating pad, at that. 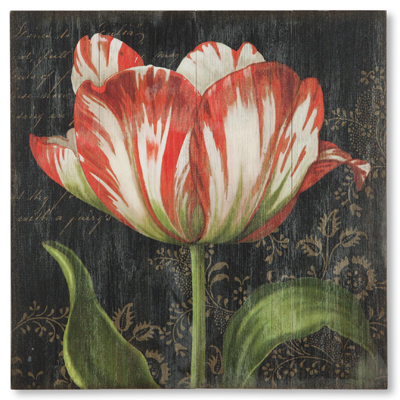 Our newest piece by artist Suzanne Nicoll brings a lifelike Dutch tulip to the walls of your home. The black background adds a refined appearance that doesn’t eliminate the charm of the rustic wood boards. This statement-making wall art would look beautiful in a gallery wall or above a mantel.